Besides email and instant messaging, voice over internet protocol (VoIP) has become the standard for communications in the business world. It’s not merely a new alternative to the traditional telephone system. It increases efficiency and productivity in ways that the telephone cannot, but above all else, VoIP is cost-effective. Businesses save up to 75% with a VoIP system. As long as there’s an internet connection, a call can be made over any distance and for however long is necessary. Long-distance calls billed by the minute are a thing of the past. Users are rewarded for switching over to VoIP with cutting-edge features like integrated video conferencing and file sharing. There are, however, so many VoIP services, with various bells and whistles. How can you know what’s the best one for your business? How can you make sure you’re getting the best deal? Here are some very important criteria to help you. The cost of your VoIP solution should be your first consideration and that will depend on what you need. A good VoIP provider will offer the standard features without charging extra. It will not lock them behind surprise costs such as feature activation fees and complicated service tiers. So make sure you are getting the best standard features for your buck, such as auto attendants, conference bridges, voicemail boxes, custom messages, and ring groups, just to name a few. Speaking of features, your potential VoIP service should at least have call management. Browse through call management features for those that may be an advantage to your business, such as call forwarding, call waiting, caller ID, voicemail, call blocking, dial-in directories, and other basic and advanced calling options. In this day and age, every growing business has to invest in security or risk being a target for cyberattacks, from phishing scams to malware. A good VoIP provider will have this in mind and provide security features so that their service doesn’t become an inviting door for cybercriminals. The key to reliability is technical 24/7 support and other precautionary and proactive maintenance services. Think guaranteed system uptime and disaster recovery protocols. When it comes to technical support, monitoring, and maintenance, you will want to be able to reach your provider, whether it’s a simple question or complex problem. They should be available round-the-clock and without delays to answer questions about the service. The quality of VoIP calls may vary between vendors depending on the bandwidth capacity and speed of the internet connection. However, choppy or jittery audio is not acceptable with today's standard internet packages, especially here in Miami. Audio should be excellent. Subpar call quality is a clear an indication that you are getting less than what you paid for or something is seriously wrong and should be addressed immediately. VoIP has advanced to the point that several third-party and mobile applications can be integrated. As a business, you should be getting more than the ability to make calls from your service. Look for VoIP features that will enhance productivity. For instance, since most people have smartphones, it will be a good idea to consider smartphone integration as a standard feature. This will allow your business calls to avail of custom applications, such as creating a log for calls and producing voicemail transcripts. Certain VoIP services can also be integrated with third-party applications, such as Dropbox, Google Drive, office software, and more. This is worth considering for the productivity advantages that it may bring. Your VoIP should be capable of more than just phone calls. Some VoIP service providers have “unified communications,” a standard in the industry. It allows varied communication methods to be integrated into one system — email, phone calls, video calls, voicemail, and conference calls, among others. The VoIP service you choose should be efficient, eliminating the need to open separate apps, windows, or platforms for any of those methods. With so many communications technology vendors out there, you'll need to surf the web for vendor websites and see their offerings. 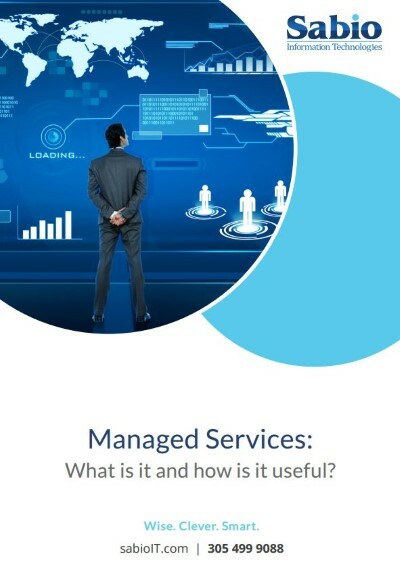 Better yet, talk to a managed service provider (MSP). 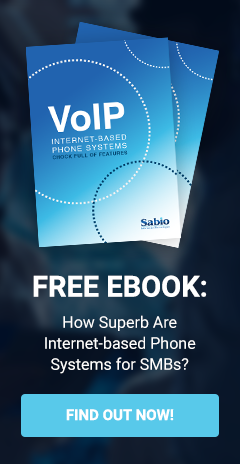 Sabio IT is an MSP that specializes in IT services like VoIP and can advise you on the best technology for your business needs and objectives. You’ll receive first-hand guidance for the best technology investment for your current IT infrastructure. Contact Sabio IT today.